Bike sale 2018 was a great success! October 1, 2018 / lisa / Comments Off on Bike sale 2018 was a great success! 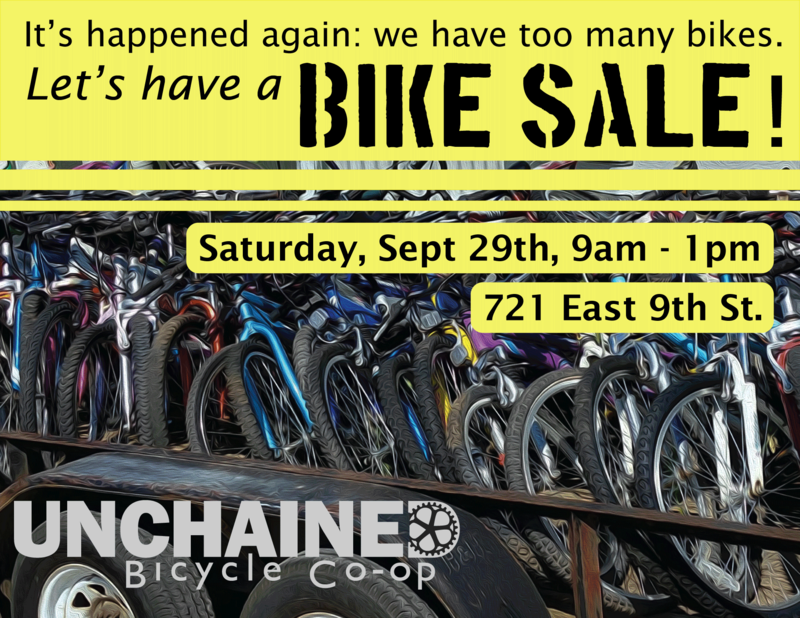 We had a great sale on Saturday, September 29th at the shop. We sold approximately 50 bicycles, and made enough money to pay for the next 4 months’ rent, which is always a relief. I hope everyone who was able to get out was able to find a bike that they will love and ride for years to come.